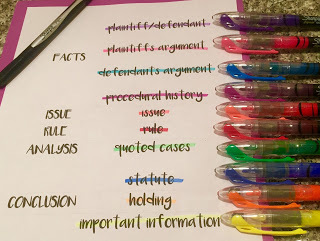 Once upon a few months ago, I made a post about the best highlighters for law school and showed y'all how I color coordinated my colors to the parts of the case. 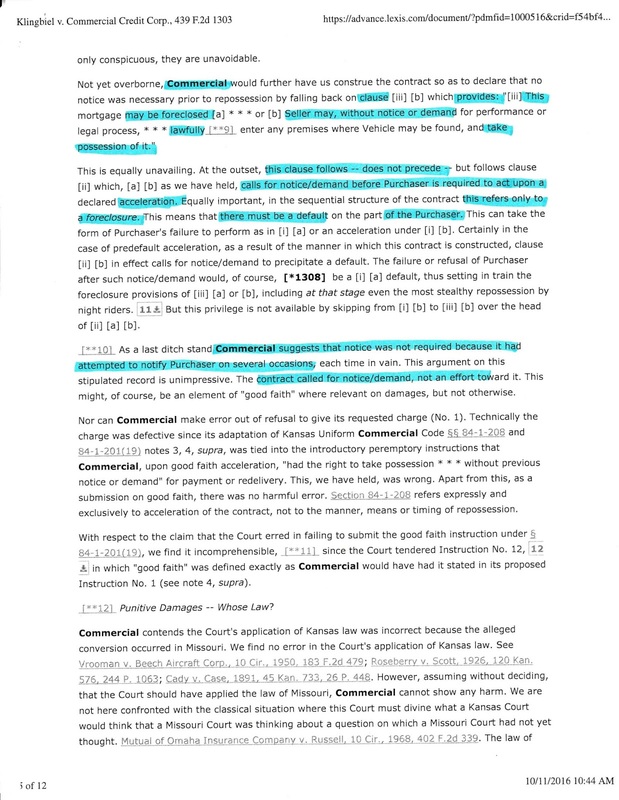 And then later in my post about how to make an outline, I showed y'all a picture of my highlighted book and was like only highlight what's crucial. 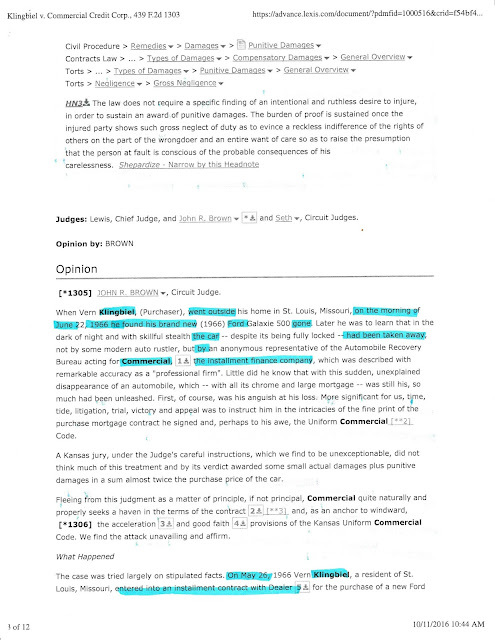 But yesterday my professor handed out a case for us to read that she printed off from Lexis and last night after I had read and highlighted through the case I thought to myself, damn I'm pretty good at this. So I decided to maybe share my wisdom. 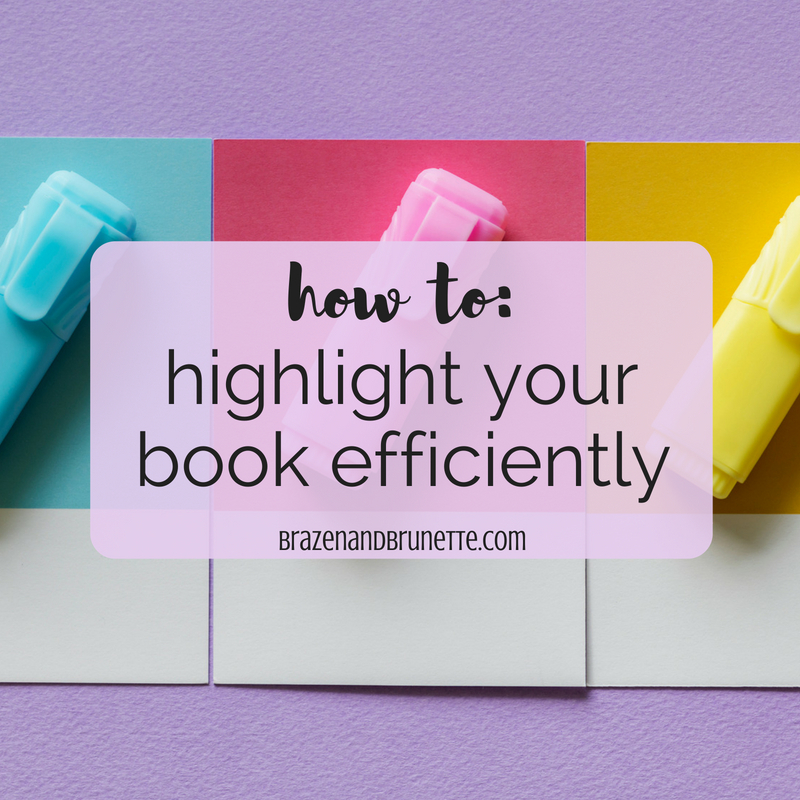 It sounds very trivial, but effective highlighting is teaching your brain how to quickly read and analyze information to find out what's important and what's not. If you've taken a timed issue spotter question already, then you know exactly what I mean (and if you haven't then just trust me on this one). 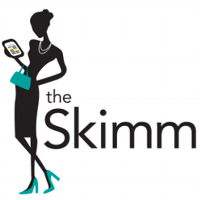 When you get out in the law world, you're not going to have condensed cases. Instead it will be your job to read a lot of information in a short amount of time and pick out what's relevant and now's the time to get good at that. 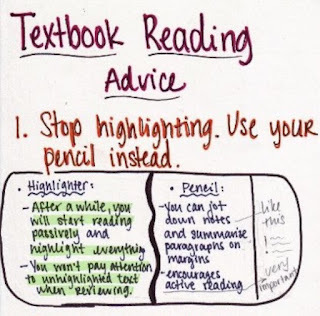 I recently saw this on Pinterest and honestly it annoyed me because you can highlight and still actively read, just if you do it right. And if you have 100 pages to read a night, jotting down notes and summaries in the margins will take literal hours. So here's how. Test it out. 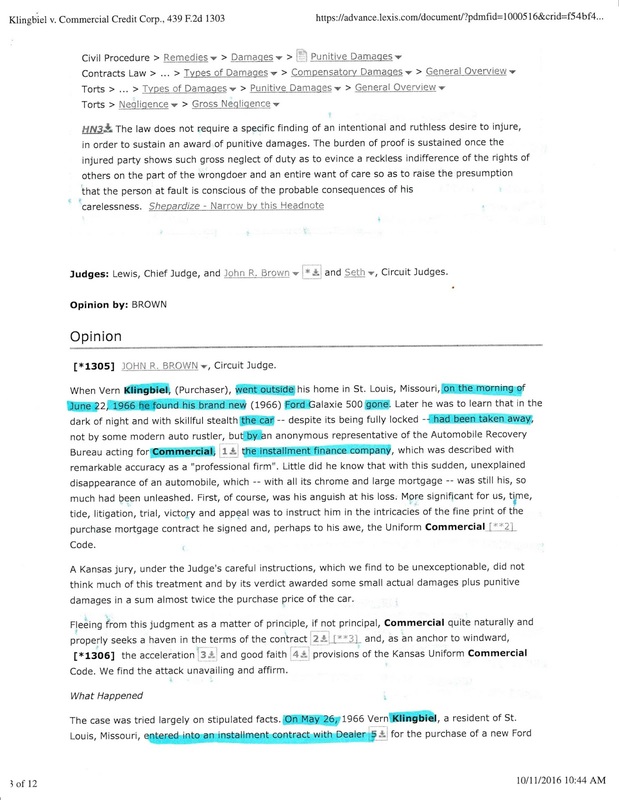 Read only the what's highlighted in blue in the case below (it's super short, I promise!). Read it and try to avoid all of the other unhighlighted words. 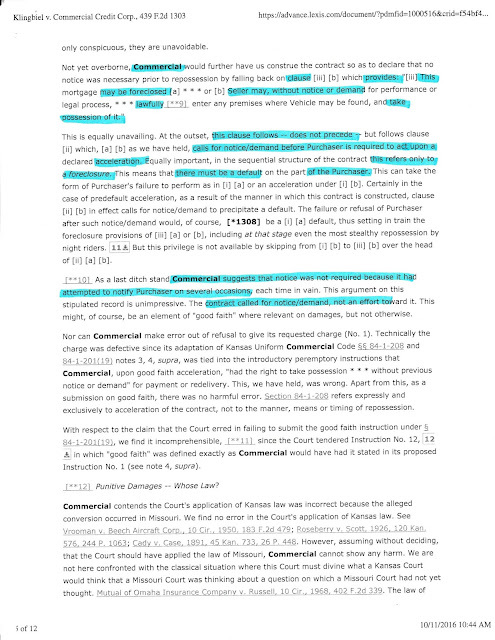 It might not make perfect sense because I don't highlight every word, but I promise you'll figure out what it's saying. Read only the blue and ask yourself if you feel like you understand what is happening in the case and if you could easily retell it to a classmate or professor. How'd I do for condensing 3 pages down to less than 300 words? By the end could you pick out the plaintiff problem, defendant's argument, issue, and holding? 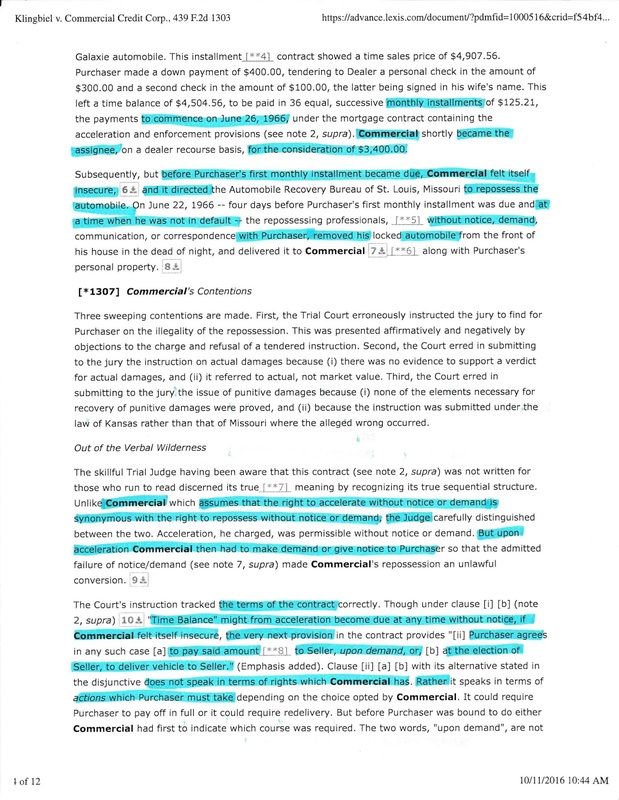 Just imagine if I'd only highlighted about the plaintiff in pink, and only highlighted about the defendant in blue, and only the holding in orange or only the rule in red. It would be even easier to pick each of these parts out! 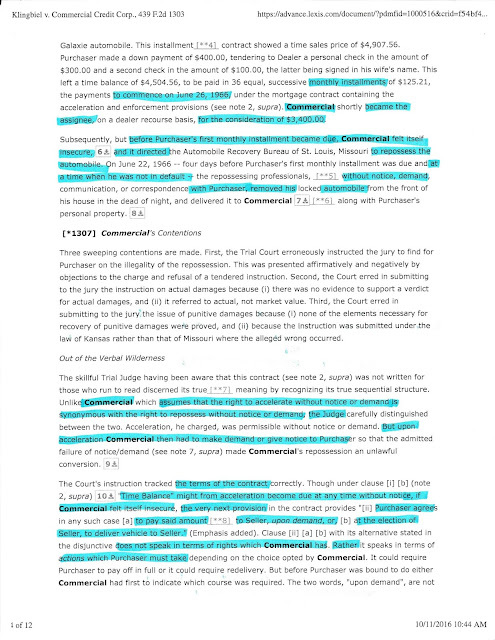 What makes it effective highlighting is when you cut out details, irrelevant information, and even connector words. Yeah it might not seem like it makes sense, but JSUT 4S YU0R BR41N C4N R34D 7HI5, it can figure out the meaning of a sentence if you only highlight a few words. 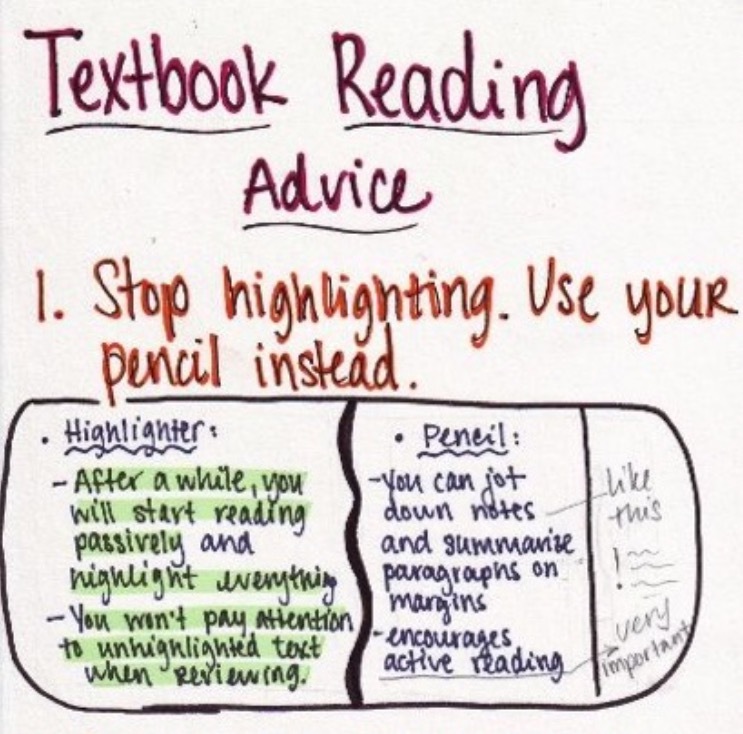 Another tip is to not highlight punctuation. When you go back through and reread it, these gaps in highlight help break up what's needing to be said so then the periods become redundant. One super helpful benefit to this is if you read a case and then your professor gets behind and doesn't talk about it until days later, a quick scan over it will remind you of all you need to know. 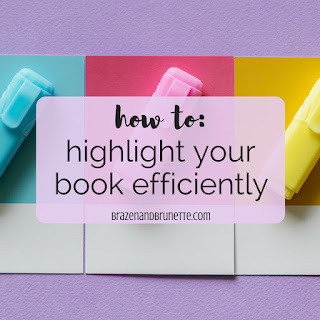 That's actually a really good way to make yourself start being a minimalist highlighter is to highlight it thinking that you'll only have a minute to read everything that you've highlighted. When you're in a time crunch to quickly read something, you'll only read what's vital- so highlight like this!